how to attract and retain the interest of your audience? Teachers say you have to be inspirational, appeal to their emotions and make them laugh. Unfortunately most teachers aren’t able to live up to those concepts. So why not turn to some professionals, who attract our interest almost daily, the movie industry. 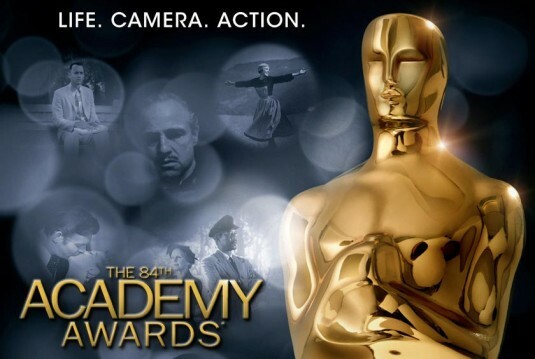 This Sunday you had the chance to watch the 84thAcademy Awards, hosted this year by amazing Billy Crystal. Although Billy Crystal might just be a comedian and actor and not some global company’s CEO, why can’t we learn from him? I don’t know how many times I had to watch Steve Jobs get on the stage and present some new life-changing devices. Not that I don’t like Steve Jobs and admire his presentation technique, there are other great presenters and speakers out there. In 2009 Hugh Jackman was the host of the 81th Academy Awards and presented the best opening act that I have ever seen at the Oscars. During his act he presented and saluted the movies nominated for best picture. Although Jackman doesn’t take the movies too seriously, he is able to make fun of himself during the same time – you can see him holding his laughter several times; he increases the amusement among the crowd even though he is about to ridicule some of his colleagues. Until 2004 Billy Crystal was hosting the Oscar ceremony for 8 times (4 years straight). Times have changed since 1990 so comparing his act in 1990 to Jackman’s 2009 act wouldn’t be fair. Unlike Jackman, Billy Crystal is presenting the movies in a rather plain way, though he makes some jokes on the movies; he prefers to make fun of some of the actors and the stories of the movies. The New York Enterprise Report made a report on 5 tips which increase your ability to become an effective speaker. When we take a look at their list, let’s see which of the tips they put into practice. Plant your feet and make eye contact with someone in the room during your first sentence. For each sentence thereafter, make contact with someone else continuing this process until you’re done. You will be amazed at how much more engaging this approach is over “light-housing” (i.e., swaying your head back and forth). Jackman: The moment Hugh Jackman starts his speech; he has a good stand and posture. He does not make too much individual eye contact but scans the audience. In a room full of 3300 guests making eye contact with everyone is rather difficult, and would probably go beyond the scope a 10 min opening act. Crystal: Billy Crystal enters the stage with sunglass, trough which you cannot tell at whom he is looking at but the movement of his head (fast swaying) indicates the same scanning process like Hugh Jackman. Unlike Jackman, Crystal walks the stage and is therefore able to look at a wider audience due to his increased range. Billy Crystal had to welcome 3300 guests as well; therefore eye contact is rather low. Although both presenters make little eye contact unless they address a specific person in the room, they have to look into the camera quite often to ensure the viewers’ attention. Fortunately or maybe unfortunately, only few of us will ever have to talk in front of such a big audience, so in the class room nothing keeps you from establishing eye contact with all the individual listeners, except your own guts. Do not read. Never read. Prepare bullet points and speak from the heart. You may miss something along the way but you’ll cover 90 percent of your content and avoid having others tune out. Jackman & Crystal: Being actors both are used to learning complete speeches by heart. Therefore it is not unusual they are able to memorize about 10 minutes of opening act. As you are most likely not an acting students, it will be fair enough to memorize the most important key words to keep you afloat. As a student there is nothing wrong with using bullet points and glancing at the paper. BUT never, ever in your life read from the paper, unless it is a quote, which you have to present; and even then look up from the paper occasionally. Pause. The most important technique. Your audience needs time to catch up with you, and it will prevent you from saying “um” or “er”. It seems awkward, but for the listener it is completely natural and desired. Jackman: Jackman is using his pauses very effectively; doing them exactly when there are moments to pause, laugh and cheer. Even during his singing he makes big pauses, so that the audience can process his words and get the sense of his jokes. Crystal: Billy Crystal has almost the same effectiveness on pausing, even though he, attimes, extends his pauses to long. Nevertheless in his context the pauses do not seem out of place and you don’t noticeably feel them too long. Neither presenter makes the mistake of replacing a pause with a “um”; it is wired in the beginning to just stay silent during a pause, as most people feel uncomfortable with silence, but after 20 “um”, your audience will appreciate your more professional approach. Never point. People don’t like being pointed at and they even don’t like seeing others being pointed at. Jackman: Unfortunately Hugh Jackman points occasionally to some of the person in the audience; unlike others he is not using his index finger but is whole hand to emphasis who he is talking about. Although pointing is an inappropriate gesture in a big hall, like the Kodak Theatre, it can be necessary as the actors and nominees sit at different ends of the room and fortunately, his audience is used to being pointed at. Still, we remember not to do it, unless it is necessary. Crystal: Just like Jackman, Crystal is using his hands to indicate the people he is talking to. But in general he is more using his hands to emphasis his own words. Billy Crystal has more gestures to his speech than Hugh Jackman does. Get out from behind the podium. Remove this physical barrier between you and your audience. They’ll appreciate it and like you better. Jackman & Crystal: Neither Jackman nor Crystal has a podium or other physical barriers to hide behind. Hugh Jackman does step behind props occasionally, but they are all part of his act, and he steps up front as soon as he is not using the props anymore. At times you will have to stand behind a desk or podium, but when you know you don’t have to change the slide for some minutes, step front and move than just standing plain. Nothing is more boring than a presenter standing in the same spot for hours. Because teachers would never present us with the Academy Awards as an example for effective speakers, it is up to you to stay to watch it here. Maybe you will find some of the laudatory speech especially fascinating (I can highly recommend Maryl Streep, Jean Dujardin, Sharmeen Obaid-Chinoy). Previous Post Paradise? Why should I go to Paradise? Next Post Was it Worth it? Thanks for this post – we are starting presentation skills in the first year and will be looking at some video clips in class! You’ve done some of the hard work for me!